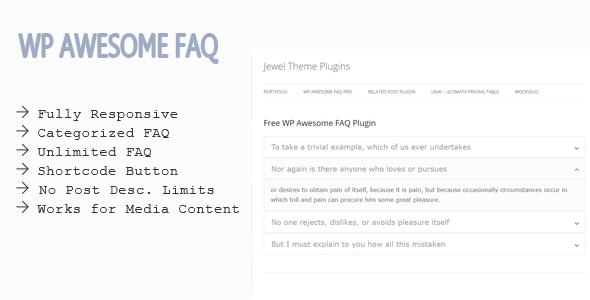 No need extra configurations for WP Awesome FAQ Plugin. 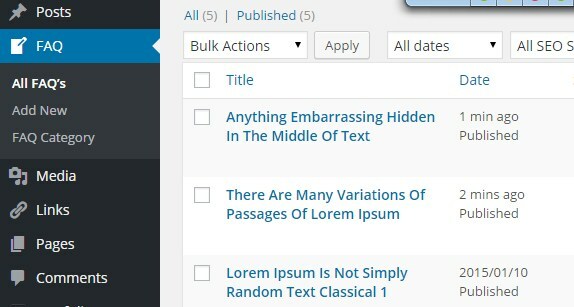 WP Awesome FAQ Plugin allows to create unlimited FAQ Items with Title, Description. With the plugin installation’s a Custom Post Type named “FAQ" will be created automatically. After installation this plugin, you have to just add some faq. Then create a page and you can see a shortcode button named “FAQ" click in it and you can insert all FAQ or categorized FAQ with Category ID. 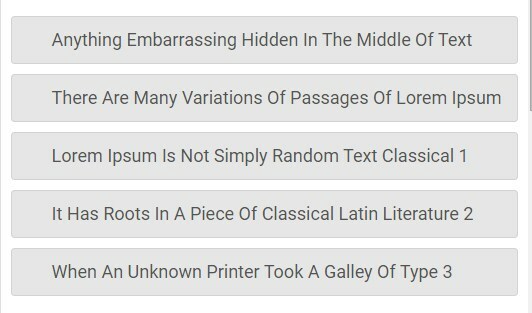 WP Awesome FAQ Plugin includes- Title, Description. Category based FAQ (very much requested feature !!!). Many more settings are comming!!! There are 3 options with this free plugin. You can see all FAQ with "All FAQ's" button, Create a FAQ with "Add New" Button and can maintain your FAQ category with ``Category`` button. Your FAQ looks exactly this screen shot. Easily create faq and it will automatically insert into your faq page. We are a team of WordPress geeks that believe in producing top-quality themes and plugins based on best coding practices.